Approximately how much does running a Koi pond add to you electrical bill each month in your area? 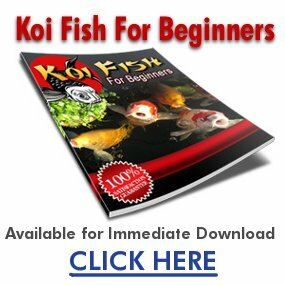 My husband and I would love to build a koi pond next year and I am just full of questions! I keep reading about the noticeable increase in energy bills but haven’t found any estimates. I suppose it would be important to ask what size your pond is and how often you have to use the heater as well…? Thank you for any information you can give me! i was take a guess and say it cost around the same as maintaining a swimming pool, with filter and heater and all. Our pond is 3,000 gallons. We put a livestock water trough heater in it in the winter to keep at least a portion of the surface ice-free to allow for gas exchange, and run it pretty much continuously from around December to March, depending on the weather. It is temperature-sensitive so it shuts itself off if it’s not needed. We also have a 5,000 gph pump that we run continuously, 24/7, from April/May through October/November, again depending on the weather. If we are not running the pump (in the colder months), we put in a small bubbler, just to keep it oxygenated (that pump is much smaller – mayber 1,500 gph?). Anyway, with running all that, and having at least “something” running 24/7/365, we spend maybe an extra $75-$100 per month on electricity. Our house is about 20 years newer than my parents, and roughly a third again larger, but their electricity bill is very close to what ours is and they don’t run a pond. Also, we are on a program where we pay an “average” amount on our electricity bill and the power company adjusts that amount annually depending on our usage, but we have never paid more than $200 a month – hope that gives you some idea of what to expect. I just want to add that I get AT LEAST the equivalent of the costs for the extra power usage out of the pond, in terms of relaxation and enjoyment. A massage costs $75-$80 an hour, and you can get a whole month’s worth of koi pond for that! !